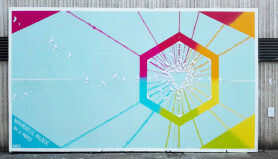 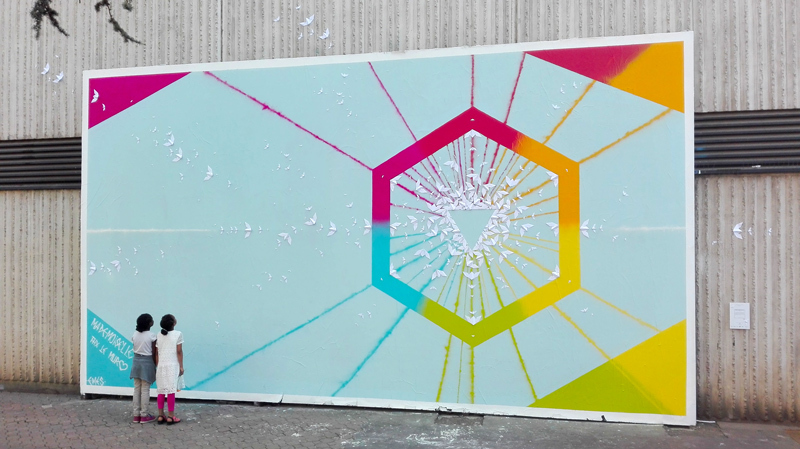 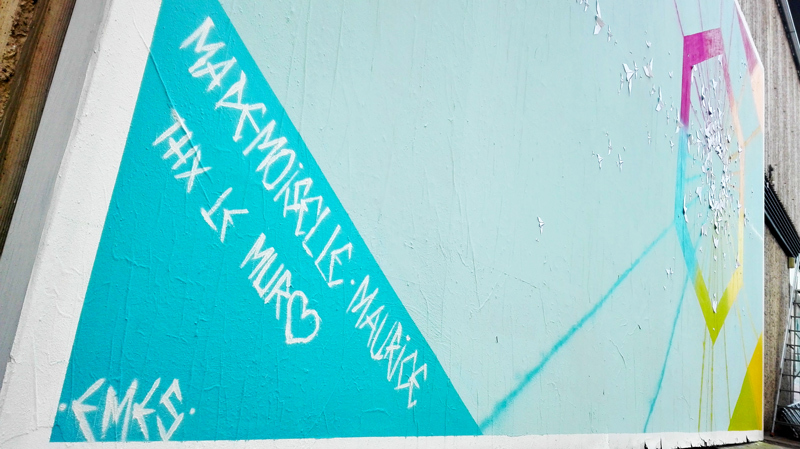 The association MUR Nancy, founded in 2015, offers urban artists, graffiti artists, ephemeral exposure on a wall located place Charles III in Nancy, every month. 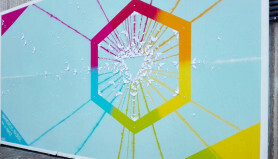 The new work replaces the previous one, thus perpetuating the principle of an ephemeral urban art. 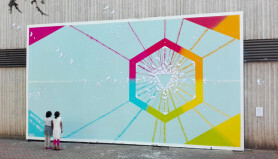 The MUR, acronym for modular, urban and responsive, whose purpose is to promote contemporary art and urban art in particular. 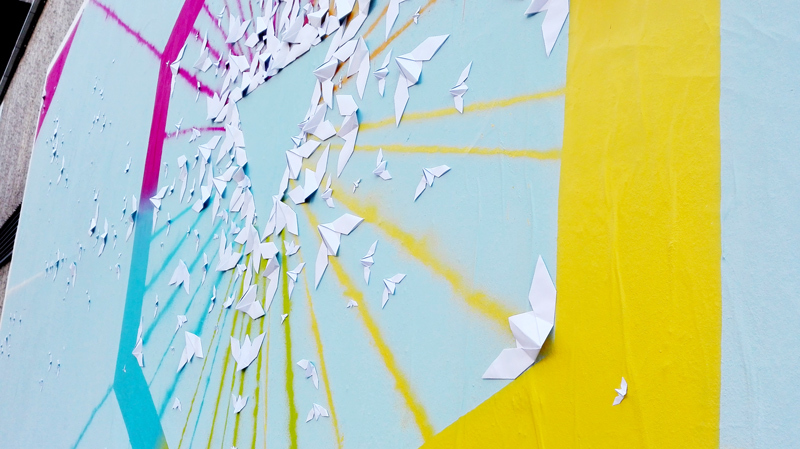 Artwork made from acrylic paint, spray and folding paper. This realization is the link with the folding works made of metal and paint, because the origamis here are monochrome. 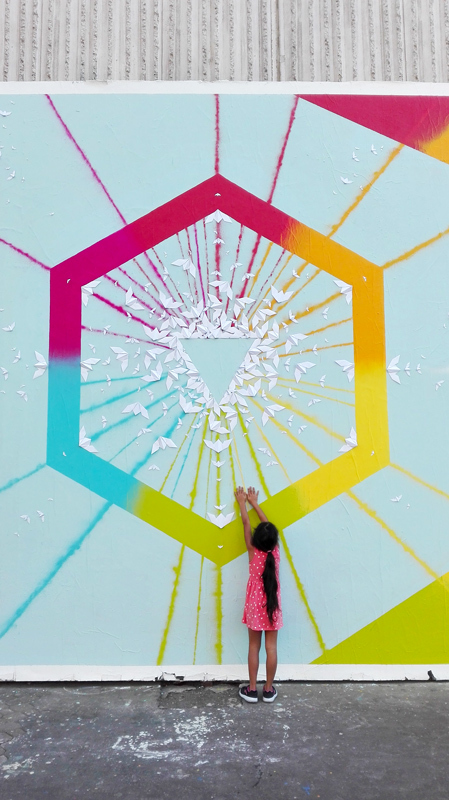 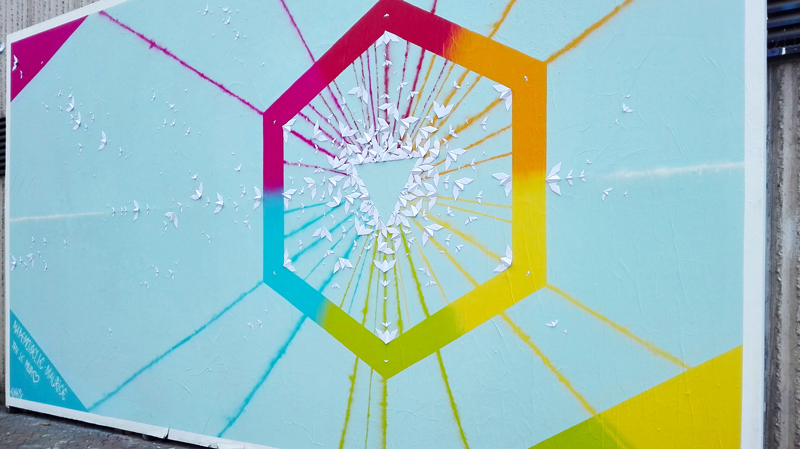 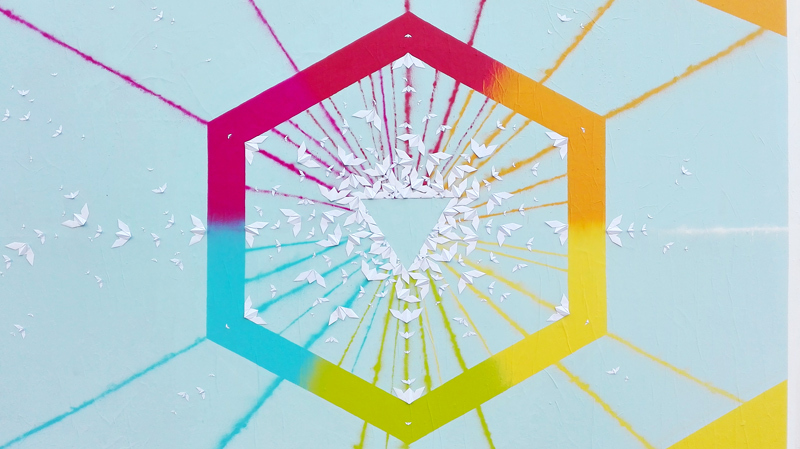 It represents a hexagon, a geometric form dear to the artist because the hexagon allows us to remember the link we have with nature and especially with the bees who are themselves builders of hexagons. 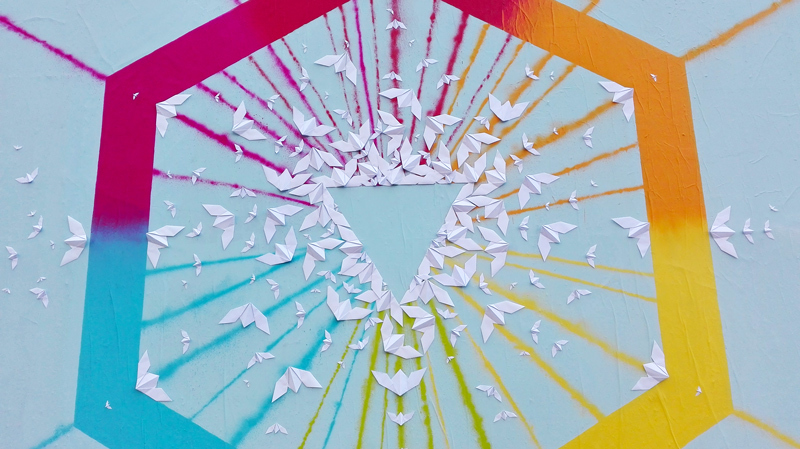 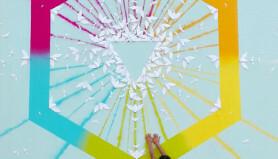 The flight of birds shows a triangle upside down, symbol for the artist of “power to the people”. 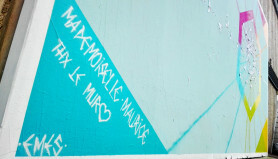 A big thank you to all the MUR Nancy team and especially to Séraphin and all his family, for his welcome, his invitation and the coordination of the project.